We comply with the standards, procedures and requirements laid down in the Data Protection Act 1998 to ensure that the personal information you give us is kept secure and processed fairly and lawfully. What information will we collect and how will we use it? We collect information about you to enable us to fulfill your order and secondly to provide you with the best possible service. We will never collect sensitive information about you without your explicit consent. The information we hold will be accurate and up to date. You can check the information we hold by emailing us. If you find any inaccuracies we will delete or correct it promptly. 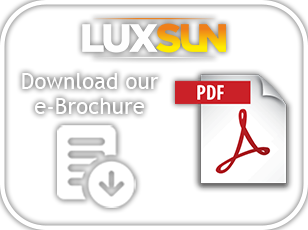 We may send you from time to time (by email or post) information about products and services and details of promotions and special offers from LUXSUN. We will not contact you in this way unless you have given us your consent. A cookie is a piece of information our website will place on your computer’s hard drive that can track your movements while you are on the website. It will also recognise you when you visit our website again. All Intellectual Property Rights and goodwill in or relating to the contents of the website and catalogue belong to either ourselves or to our suppliers. LUXSUN, luxsun.co, LUXSUN logos, custom graphics and button icons contained on this site are the service marks, trademarks, trade names and/or trade dress of LUXSUN. All other trademarks, service marks and company names or logos appearing at this site are the property of their respective owners. The site and all its contents including design, images files, text, articles, the selection and arrangement thereof are the property and copyright of LUXSUN. All rights are reserved. (b) you print out any pages from the website as a record of any goods or services you have purchased from the website. We work hard to ensure that the information on the website is accurate and helpful at all times We do not accept liability for any errors and/or omissions contained in our website and reserve the right to change information, prices, specifications and descriptions of listed goods, products and services at any time and without notice. We do our best to ensure that the website operates properly at all times, but we make no warranties as to the availability or accessibility of the website, and (save as otherwise set out in this disclaimer) we will not be liable for any damages, loss, costs or expenses incurred by you as a result of any lack of availability or accessibility of the website or any failure, error or delay in the sending or receiving of any notice or communication or instruction through the post or any electronic medium). We cannot be held responsible for material displayed on third party websites or any other written material. The only prices that apply for our products are those stated on our material. We can not vouch for the reliability of prices stated on shopping directories or through any other third party. Any link (be it a hypertext link or other referral device) used on the website is provided solely for the use and convenience of the visitor. The link does not represent any endorsement or recommendation by us and does not mean that we have any association with the linked website. We are not responsible for the content of any websites that have links with the website or for the legal consequences of your entering into any contracts with the third parties that provide these linked websites. We manufacture and stock a wide range of high quality LED solutions from decorative ceiling lights and external lighting to LED tubes and emergency lighting. Click below to download our Brochure PDF.